Strengths-based development has been touted by the Gallup consulting firm for more than a decade. Through their best selling books, Now, Discover Your Strengths and Strength Finder 2.0, Gallup authors advocate building your strengths instead of fixing your weaknesses. The related Clifton StrengthsFinder, an online assessment tool, helps you uncover your talents (natural patterns of thoughts, feelings and behavior) and identify your top five of 34 talent themes (e.g. Achiever, Adaptability, Communication, Empathy, Responsibility). The strengths-based approach is rooted in positive psychology: Do what you do best. Focus on what you’re good at. Play to your strengths. Praise positives rather than punish negatives. Take more time developing your talents and spend less time overcoming your flaws. Capitalizing on your strengths is an effective path to maximizing your potential and achieving extraordinary success. You also enjoy your work more when it allows you to leverage your talents, knowledge and skills. 1. The strengths-based approach does not excuse you from addressing your weaknesses. Because weaknesses can create problems for you and others, you can’t ignore them. Weaknesses have a stronger hold on you if you don’t work to improve them. As a budding pianist, I prefer to practice playing the notes by ear instead of reading the sheet music The sooner I learn to play a piece by heart, the happier I am. But as much as I dislike reading music, I take a stab at it anyway. 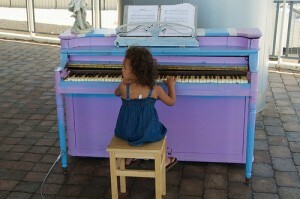 It’s integral to my appreciation of music and my growth as a pianist. Awareness of your weaknesses helps you avoid blind spots. You can choose to improve your deficiencies or surround yourself with others who have complimentary gifts and talents. 2. Playing to your strengths is not always possible. Being a top performer often requires you to do what doesn’t come naturally. Taking on more responsibilities might demand that you learn new skills irrespective of your natural talents. Your strengths might not be what your organization, your team, or the world needs now. In complex, uncertain or changing environments, versatility and flexibility matter. 3. Strengths can become liabilities when they are overused or when they are used at the wrong time or in the wrong way. Whether a natural tendency (or innate ability) is a strength or weakness depends on how and when you use it. While being direct encourages open communication, it can backfire in a situation that calls for greater tact and more empathy. Being too action-oriented can lead to impatience, poor decisions, a judgmental attitude, and extreme competitiveness. 4. A focus on strengths can limit your growth. What you think is a weakness could simply be an unknown potential or untapped ability. If you focus too much on your strengths, your learning and development will stagnate, says Robert B. Kaiser, author of The Perils of Accentuating the Positive. Talent can also be developed with time, effort and tenacity. As Carol Dweck notes in Mindset: The New Psychology of Success, it’s not just your aptitudes and abilities that create success. Whether you have a fixed mindset or a growth mindset plays a huge part as well. With a fixed mindset, you believe that ability and talent are fixed capacities that primarily determine outcomes. With a growth mindset, you believe that ability and talent can be cultivated through growth-oriented activities that largely determine outcomes. While not everyone has the capacity to be Einstein or Beethoven, it’s hard to know your true potential until you apply yourself and get some experience. Affirming your talents and leveraging your strengths are keys to long-term success and lasting fulfillment. By all means, switch to a new role if your current one doesn’t fit and wears you down. But to truly reap the benefits of a strengths-based approach, you need to watch out for the myths and pitfalls.